The Plainview Paleoindian artifact style was first recognized in 1947, after numerous projectile points were found during excavations of a bison kill site near Plainview, Texas. 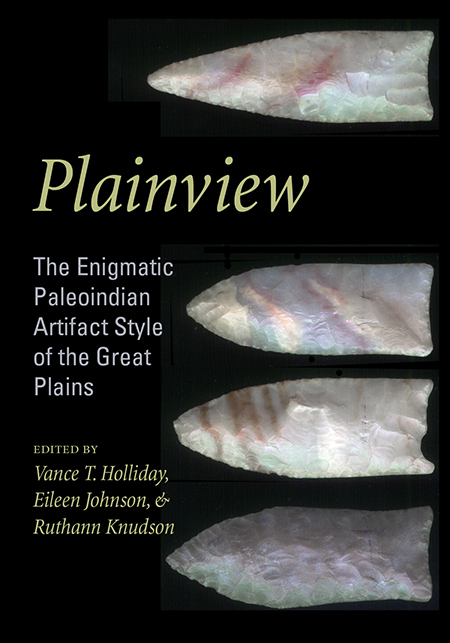 In the decades that followed, however, Plainview became something of a catch-all category with artifacts from across the continent being lumped together based merely on gross similarities. This volume unravels the meaning of Plainview, detailing what is known about this particular technology and time period. Contributing authors from the United States and Mexico present new data gleaned from the reinvestigation of past excavations, notes, maps, and materials from the original Plainview site as well as reports from other Plainview Paleoindian sites across the Great Plains, northern Mexico, and the southwestern United States. Vance T. Holliday is a professor at the School of Anthropology and Department of Geosciences at the University of Arizona, where he is also executive director of the Argonaut Archaeological Research Fund. Ruthann Knudson is an archaeologist and the principal investigator and owner of Knudson Associates in Great Falls, Montana. Eileen Johnson is director of the Lubbock Lake Landmark, director of academic and curatorial programs at the Museum of Texas Tech University, and chair of the Museum Science Program.